You guys know her as Cristyle/one of my fave writers (Shattered Heart, Only Girl, Love all Over Me) , and an incredible singer herself. Remember I told you all a while back she was in the booth recording for her own album!? 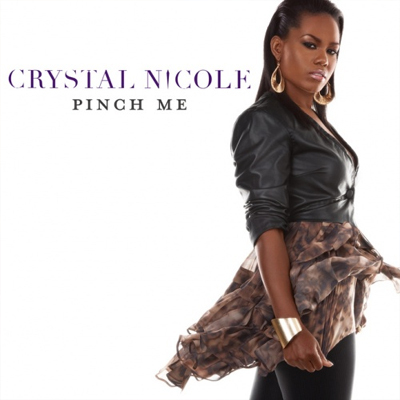 Well.. her single, Pinch Me Now is available on itunes! This is def a song you should have in your playlists! I love how she's using Crystal Nicole for her project. I mean, its like acknowledging her different hats in this game. Check it out after the jump!